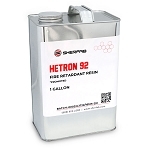 Description: Hetron 92 resin is an unpromoted, medium viscosity, flame retardant resin containing styrene. 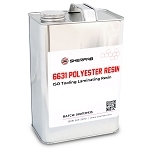 This resin exhibits excellent flame retardancy, ASTM E-84 Class I rating of <25 with 3% antimony trioxide. Hetron 92 meets MIL-R-7575C, Grade A, Class I capability and MIL-R-21607D (Ships), Grade A capability. With the addition of 10% styrene, it meets MIL-R-7575C, Grade A, Class 2 capability. Manufactured by Ashland. 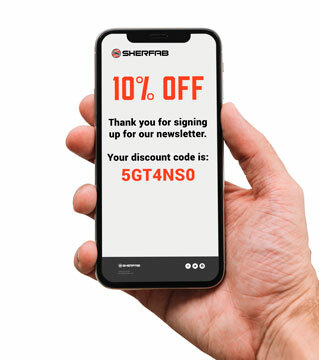 Note: THIS PRODUCT WILL BE PROMOTED PRIOR TO SHIPPING UNLESS SPECIFICALLY REQUESTED UNPROMOTED IN ORDER COMMENTS. Hetron 92 resin can be used for flame retardant reinforced thermosetting plastic equipment and parts manufactured with the bulk molding compound and sheet molding compound processes or the pultrusion process. 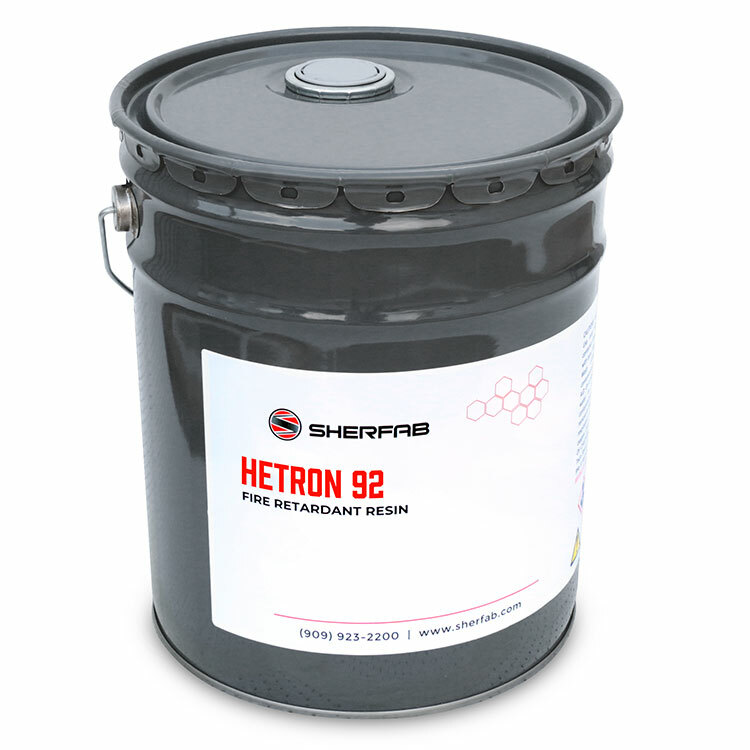 Hetron 92 resin can also be used as a halogen concentrate resin to blend with non-flame retardant resins. 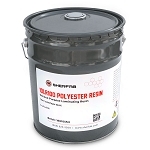 Note: Hetron polyester resin will burn if provided with sufficient amount of heat and oxygen. The degree of flame retardancy of the cured polyester resin is characterized by the ASTM E-84 tunnel test. This test is performed under strictly controlled conditions where a flame spread rating is assigned according to comparisons with test set-point materials. The behavior of the cured composite under these controlled conditions can vary from and actual fire situation.